During the Japanese colonial period, Asahikawa River was improved as a canal, and in 1975 it began to leave its mark on local culture. On the west side of the Asahikawa River, located in the most prosperous business district, was a consignment store and the largest fish market in northern Taiwan – Kanziding. Maybe it’s hard for visitors to imagine, but during the daytime, all the fish stores are closed with garage doors, the streets are quiet, and it’s still sleeping. After nightfall, these garage doors come up one by one, and each fish store starts to prepare for business. 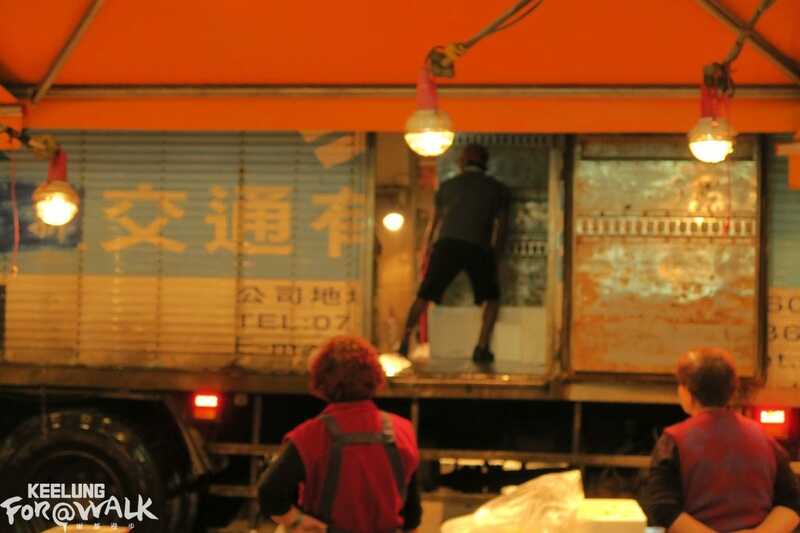 You can see the trucks of fish freezers unloading all the fresh seafood, and in the middle of the night, the heart and soul of the fish market appears: Tiaoshou. Tiaoshou is the appraiser, more commonly known as the auctioneer. His abilities are very important in determining the value of the seafood! 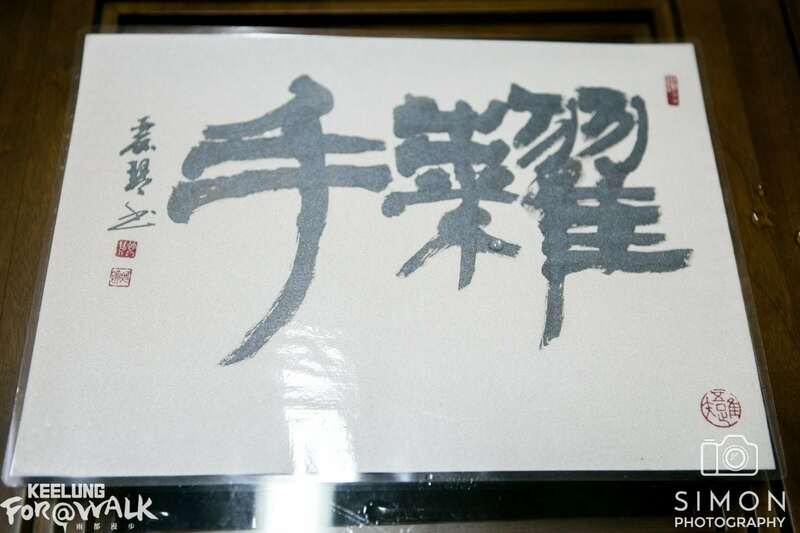 One of the oldest fish stores is ELUNG fish store. 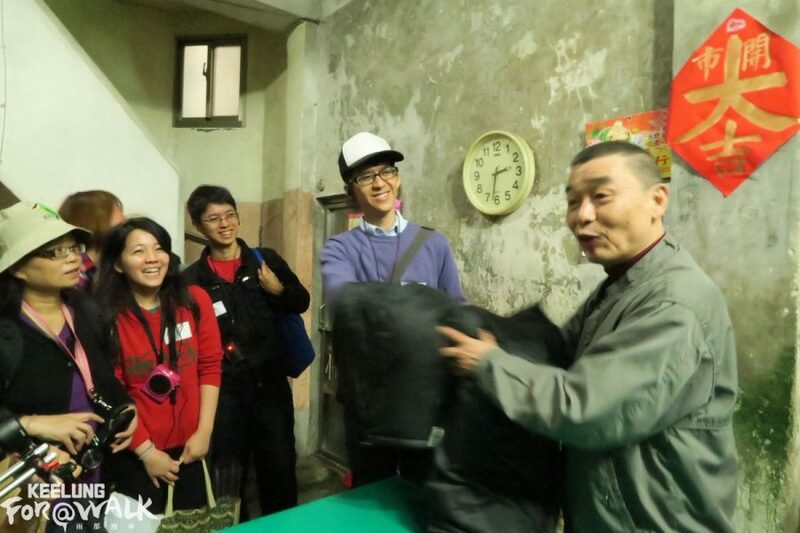 Its fish trader, Mr. Peng, served as Tiaoshou in the earlier days of the market. He explained that the asking price is determined by the weather, the quality, the actual price of seafood in the past few days, and many other factors. During the process of outcry, auctioneers have to be very observant about buyers’ expressions, and they need to be able to tell who really wants to buy in the crowd at all times. Because of this demanding skill is necessary for the job, training someone to be a Tiaoshou is never an easy thing. The Tiaoshou speaks Taiwanese during the outcry. Once they notice any movement in the crowds, they immediately raise up prices, and their voice moves faster than a hip-hop artist’s. The buyers should be aware of the action too, because their precious seafood could be bought by others in a flash. Mr. Peng stated that there were many fishmongers visiting in earlier years, but now it has turned more to individual buyers because “the economy is getting worse.” Having said that, you can still see a kind of confident light in his eyes, I think, and I believe the fish market will always exist. 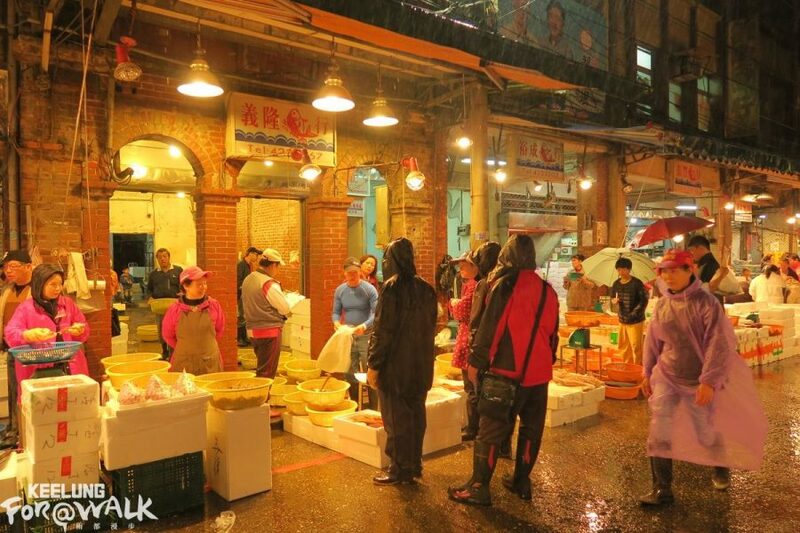 The midnight scenery of the Kanziding fish market will make you forget about the time. The voices of the auctioneers and buyers never stop until dawn, where the place once again enters into a deep sleep. 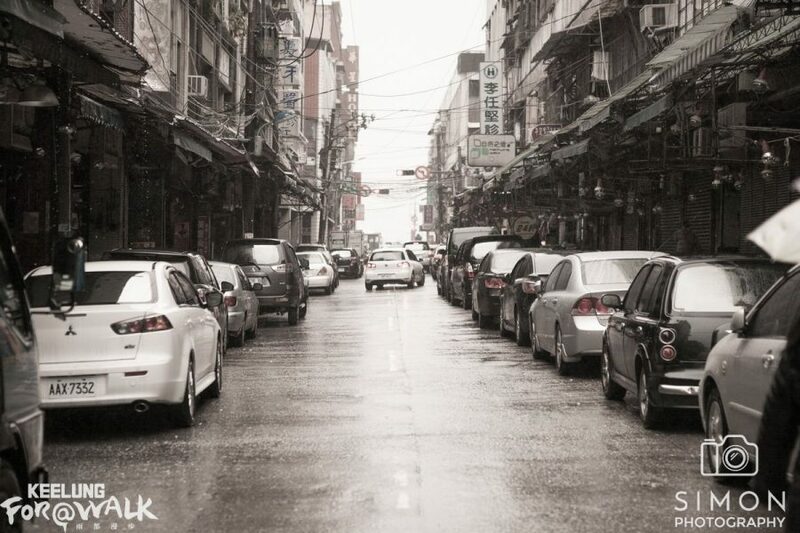 If you ask me where to go for a very special treat in Keelung, I will tell you to head to Kanziding at night and discover the hidden vitality of the city. We showcase the hidden attractions, also a shared space telling the stories taken place in this vintage city.